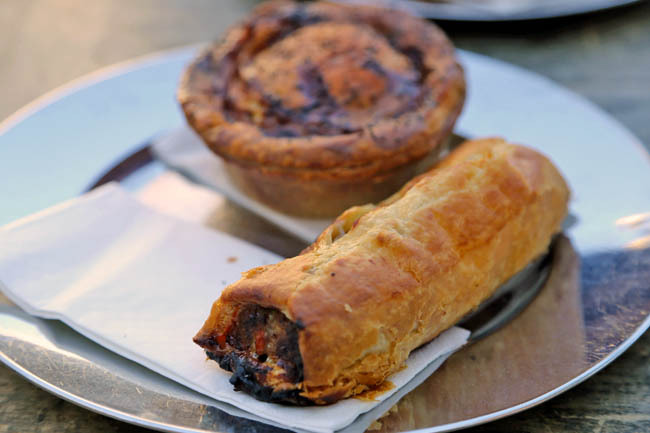 There are few things I would describe as life-changing, and two items from the famed bakery would fit that bill – Ginger Brulée Tart and Pork & Fennel Sausage Roll. 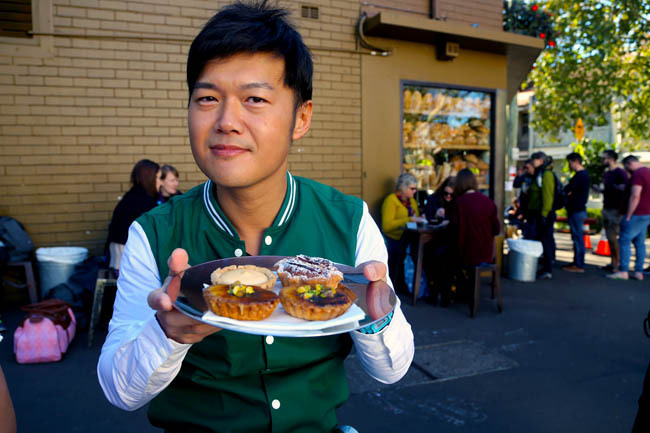 A friend ‘ta-bao’ a few tarts at Hillsong Conference which I was attending. I took a bite, went “Oh wow!” and thought that could possibly be the most wonderful rustic tart I ever eaten. 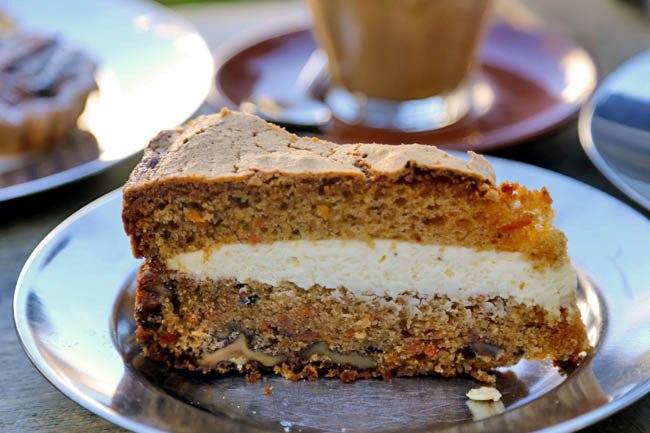 Chef sum bakers Paul Allam and David McGuinness started this shop in 2004 and never looked back. Their artisanal breads, pastries and cakes have embezzled a cult following, also spinning off many recipes for their most recognised products. 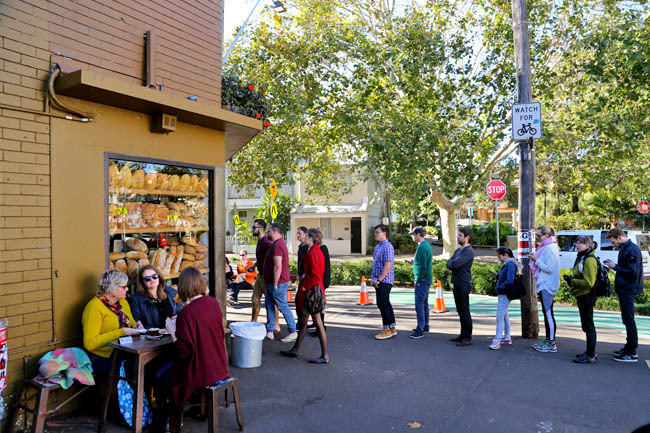 The bakery café at Surry Hills is a small space, rather cramped on the inside, with a queue of 5-15pax all times around the corner. We were blessed enough to get one of those outdoor tables, enjoyed the breeze with delicious treats. 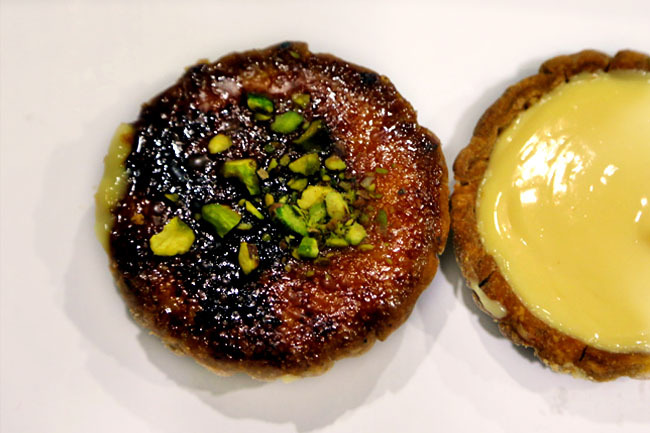 Their legendary Ginger Brulée Tart had a firm tart shell, smooth and thick filling of subtle ginger twang that reminded me of Christmas, with a layer of crisp caramelised sugar topped with pistachio. It was magic. It was unbelievably good. My first Pork and Fennel Sausage Roll was eaten hours later and cold, yet I thought it was a god-sent, literally. The minced pork filing pleasantly enhanced with funnel seas with buttery flaky pastry was utmostly delicious. Then, I went again to get my second. “You know Daniel, I went to try almost all of your 11 Best Carrot Cake Dessert In Singapore, but sad to say, none is as good as this.” I had to agree with my friend Stephanie then. The Beef Brisket Pie ($5.50), Lemon Curd Tart ($5.00 and Rhubard & Almond Tart ($5.00) each found a fan, with differing degrees of likes. Though the other items we tried such as the Croissant ($3.50), Pain au Chocolat ($4.00) and muffins were thought to be closer to ordinary. 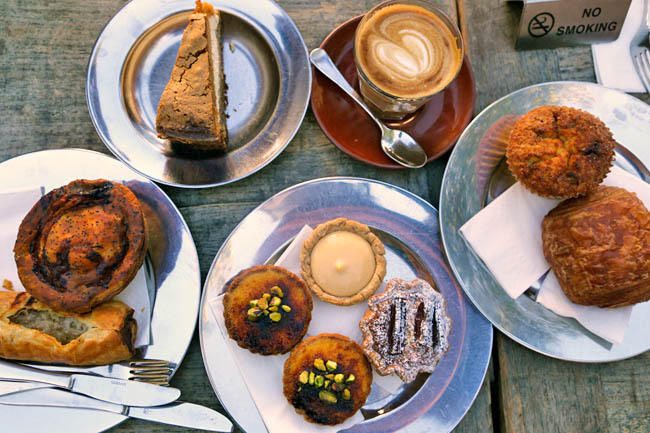 A visit not to be missed if you are Sydney’s Surry Hills, worth making a detour to. 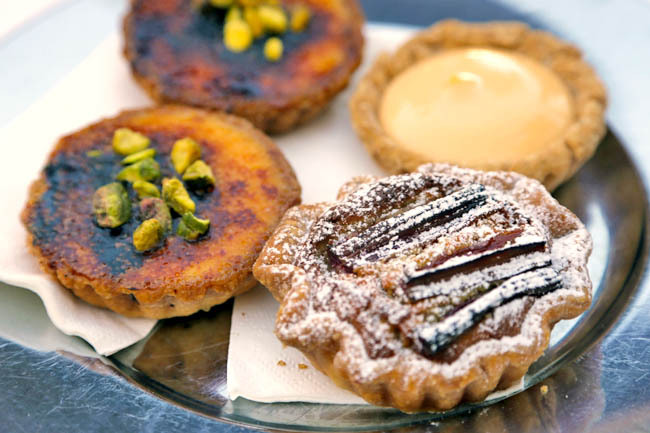 I would definitely drop by for that ginger creme brulee someday when I visit Sydney!